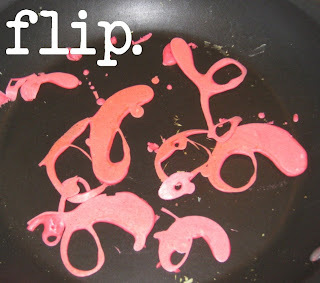 Divide batter into bowls and color with food coloring (we made 3 colors: pink, blue, & yellow). 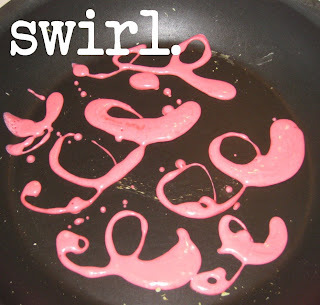 Using a turkey baster or spoon, swirl batter onto a medium pan over med/high heat. Wait until bubbles form then flip them over. Don't worry, they're going to break up a little bit. Cook about 30 seconds-1 minute and remove from pan. Repeat with remaining batter. Happy New Year! Today we made little flower cup quiches, we saw these in The Fairies Cookbook that little C got it for Christmas and based our recipe on it. 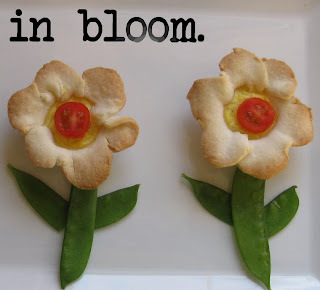 If you don't have a flower cookie cutter, you download the Flower Template I made here. Preheat oven to 375. In a medium bowl, mix all filling ingredients. Set aside. Spray nonstick cooking spray on a mini-muffin pan. Mix all inUnroll piecrusts. Print out flower template, cut it out, and use as a guide to cut out flower shapes (or use a cookie cutter). Gently press flowers into mini-muffin pan, leaving some space between each one. Fill with about 2 T. filling mixture. Bake at 375 for 12-15 minutes, until crust is lightly browned. Let cool slightly, remove from pan and garnish with a slice of cherry tomato and sugar snap peas for the stem/leaves. Enjoy! 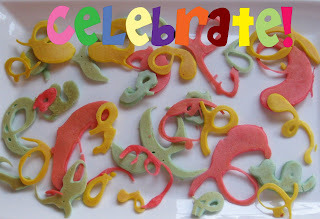 I've heard from a bunch of you that Edible Crayons are a hit at your house! I've had requests for different labels, so here you go! These are super-duper easy, my 3 year old can make them (she just needs help cutting the labels). Email me if you ever want something different, I'd be happy to put them on here. Just click on the text to open/download the file. Recipe is here. We're back! We had a great time--the only bummer was that I lost my camera at Disney World. Boo! I'll hopefully have another one before Christmas, so don't worry! Tomorrow we'll pick a winner for Marcia's book giveaway! In the meantime, look what Heather over at Little Nummies shared! How cute is this??! These would be so cute on little salad plates at a Holiday dinner--and the kids can help make them! 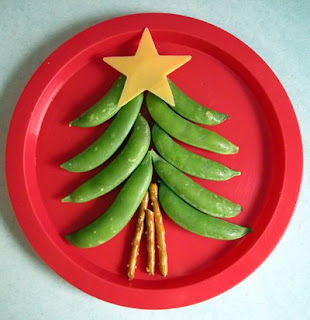 Arrange peas on a plate in the shape of a tree. Add a cheese star (cut with a cookie cutter or knife) and a pretzel stick trunk and your healthy snack just got a whole lot more fun! Bonus idea: cut out cheese circles for ornaments and let your little one “decorate” the tree before eating it! Fun Freebies, Giveaways, & More! Congrats! Email me your favorite book or ebook and Marcia will send it to you. No one mentioned that they made any purchases, so I'll save the $100 Gift Certificate for another fun giveaway! I'm taking off with the Gourmet Fam for a Disney adventure--don't worry, we'll have a kitchen and lots of fun ideas when we get back! 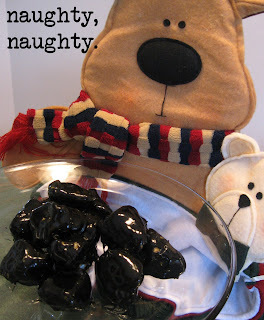 I put up some Naughty Coal Treats earlier today. So, I thought I’d share my VERY FAVORITE things with you, Oprah style. A friend introduced me to Marcia Lynn McClure’s books a couple years ago and I love them! I love a good romance novel, but it’s hard to find one that isn’t trashy or isn’t preachy. Her books are amazing! I can’t even tell you how great they are. So, I wrote her an email asking if she’d be willing to do a book giveaway while I was gone. I had no idea what she’s say but it was worth a shot. :) Well, she did better than that! She’s giving Gourmet-Mom-on-the-Go readers a free ebook ! Click here to sign up for her free newsletter and you can download Kissing Cousins, a really sweet young-love story that’s all about FOOD, of course. :) This is a little different style than she usually writes, most of her books are historical fiction, but you’ll love it! If you simply leave a comment on this post, she’ll send one of you a free full-length novel or ebook of your choice. (The Visions of Ransom Lake is my favorite novel in case you want to know!). We’ll pick a random winner December 15th. I thought it was so cool that Marcia was willing to do this for my readers that I decided to throw in something fun: anyone who purchases a book or ebook from Marcia will be entered to win a $100 Gift Certificate to Gaiam from me! Gaiam is an amazing company—I love that they support a healthy and greener lifestyle. So, I thought I’d share a good-living favorite with you. Who's been naughty? I love giving coal treats over the holidays, these have been are our family favorite. 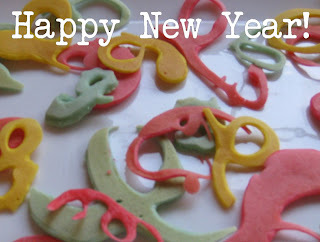 This year, we decided to experiment and the result was yummy! 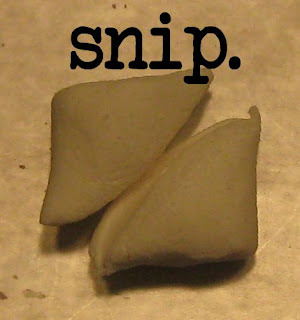 Use scissors to snip the marshmallows in half diagonally. Put caramel candies in a glass bowl and microwave for 45 seconds. 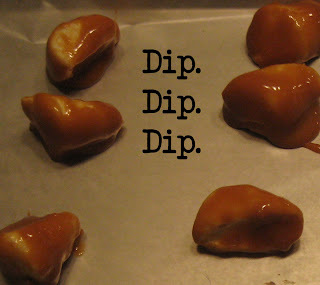 Add a couple Tablespoons milk to help thin out the caramel. Stir, microwave at 20 second intervals until melted.